The information, services and products available to you on this Web site may contain errors and is subject to periods of interruption. While totalcredit.com.hk does its best to maintain the information, services and products it offers on the Web site, it cannot be held responsible for any errors, defects, lost profits, or other consequential damages arising from the use of this Web site. totalcredit.com.hk makes no representations whatsoever about other web sites which you may access through this one. When you access a non-totalcredit.com.hk web site, please understand that it is independent from totalcredit.com.hk and that totalcredit.com.hk has no control over the content on that web site. In addition, a link to a non-totalcredit.com.hk web site does not mean that totalcredit.com.hk endorses or accepts any responsibility for the content, use, or products and services made available through such web site. 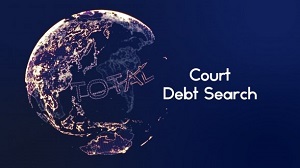 In no event will totalcredit.com.hk be liable to any party for any direct, indirect, special or other consequential damages for any use of this web site, or any other hyperlink website, including with limitation, any lost profits, business interruption, loss of programs or other data or otherwise, even if we are expressly advised of the possibility of such damages.